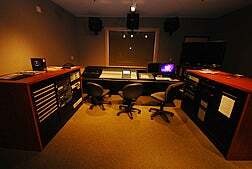 Welcome to the CSUN Department of Cinema and Television Arts, located in the heart of the entertainment industry. With seven programs of study, CTVA offers unparalleled opportunities for academic and professional training in a richly diverse environment. 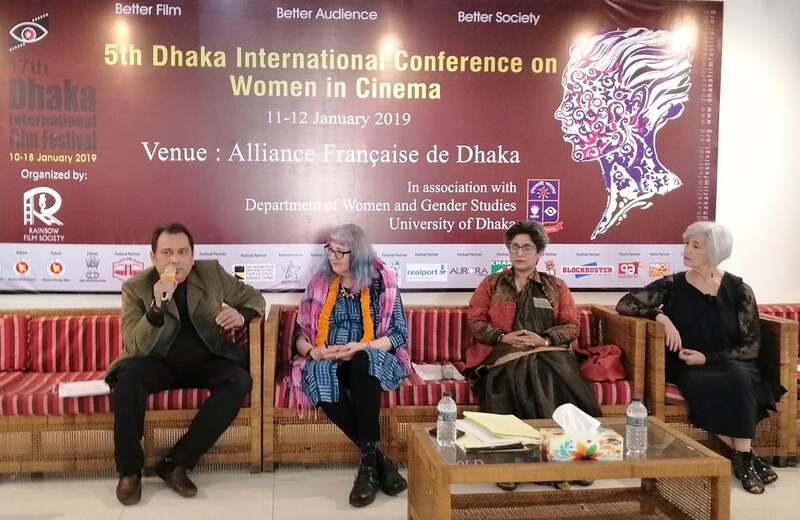 Our faculty bring extensive professional experience to the classrooms, studios and labs, and are committed to instilling the knowledge, expertise, creative and analytical skills that will allow students to achieve their goals in the fields of television, film and new media. We are housed in Manzanita Hall, designed by world-renowned architect Robert A.M. Stern. Our facilities are industry-standard and include film and television sound stages, post-production and mixing suites, a new media lab, a digital visual effects and animation suite, and the 130-seat Elaine and Alan Armer Screening Room. The CSUN Cinematheque regularly programs film series and other screenings and events in the Armer. CTVA alumni work in every facet of the entertainment industry. Extensive relationships with studios, networks, production companies and other organizations provide students with access to internships, jobs and other collaborative opportunities. CSUN is also home to the Younes & Soraya Nazarian Center for the Performing Arts, which, with its vibrant and eclectic performance program, has quickly become the intellectual and cultural center of the San Fernando Valley. 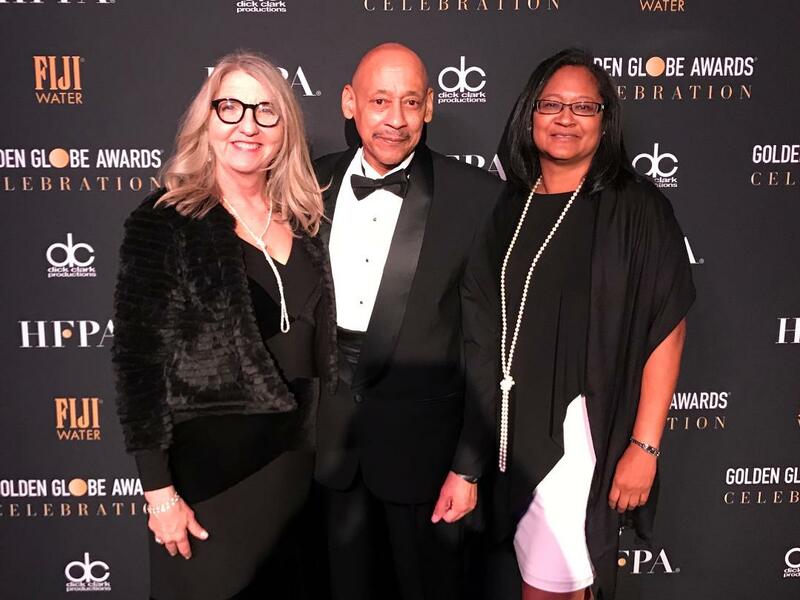 Professor wins "Best #MeToo Novel of the Year"
Thelma Vickroy (CTVA Chair), Professor Nate Thomas (Head Film Production Option) and Frances Gateward (Head Media Theory and Criticism) at the Hollywood Foreign Press Association 76th Golden Globe Awards. 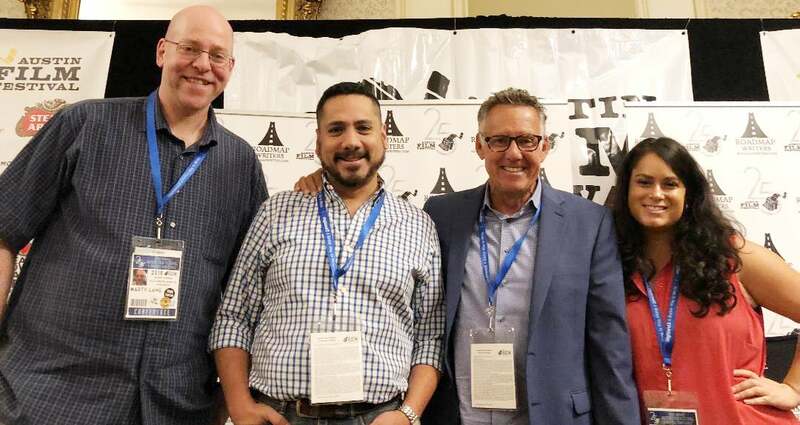 MFA Screenwriting students Eduardo Lucatero, Marty Lang and Christine Mathewson with Michael Grillo at the 2018 Austin Film Festival. Send an e-mail to . Type “SPRING 2018 REGISTRATION” in the subject line. State your FULL NAME, STUDENT ID NUMBER, and the OPTION you are in. Include the course or courses you took that have not articulated. Include an unofficial transcript with the request if the course [or courses] doesn’t show up on your DPR. Put the three digit CTVA COURSE NUMBER and the five digit CTVA CLASS ID NUMBER of the course(s) you want to enroll in. The CTVA Department will get back to you as soon as possible. Please send your request a day or two before your registration appointment. *CTVA Students who took JOUR 100 or CTVA 196DF must follow the instructions above. Please state in the e-mail that you are enrolled in or have already taken JOUR 100 or CTVA 196DF in STEP THREE. 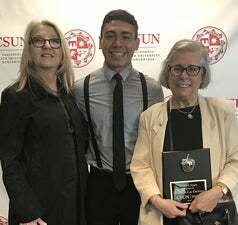 CTVA Television Production student and university ambassador Miguel Flores awarded CTVA Professor Maria De Las Carreras with a Polished Apple Award. This award is given in recognition of a CSUN faculty or staff member's positive influence in the student's life.